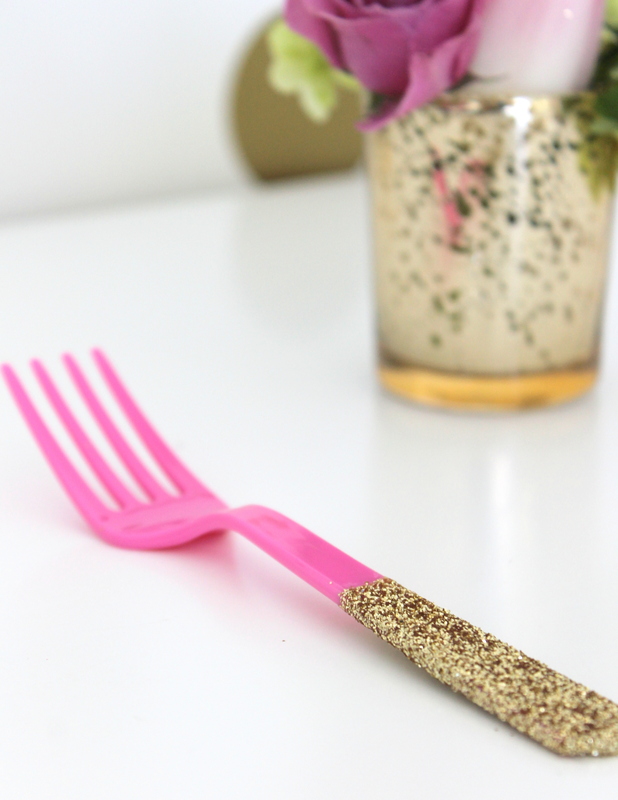 Today we're sharing a glitter party utensil DIY from Kristen and Missy from Sweetly Chic Events & Designs. What an easy way to glam up your party! Glitter has taken over the party world. 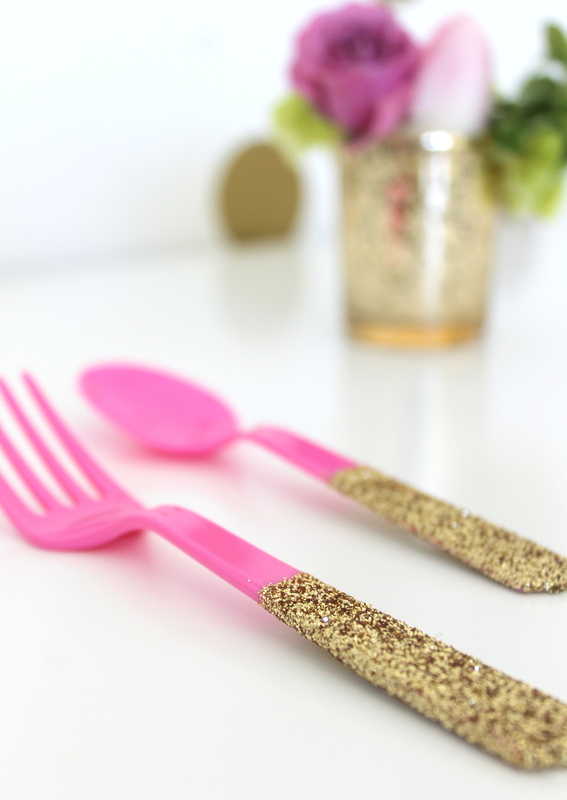 Here's a fun and simple way to add some sparkle and shine to those everyday, inexpensive, plastic utensils. Just customize the color of your utensils and glitter to fit your party theme, and you'll be on your way to adding a small, creative party detail that will be all the rage at your next event! 1. 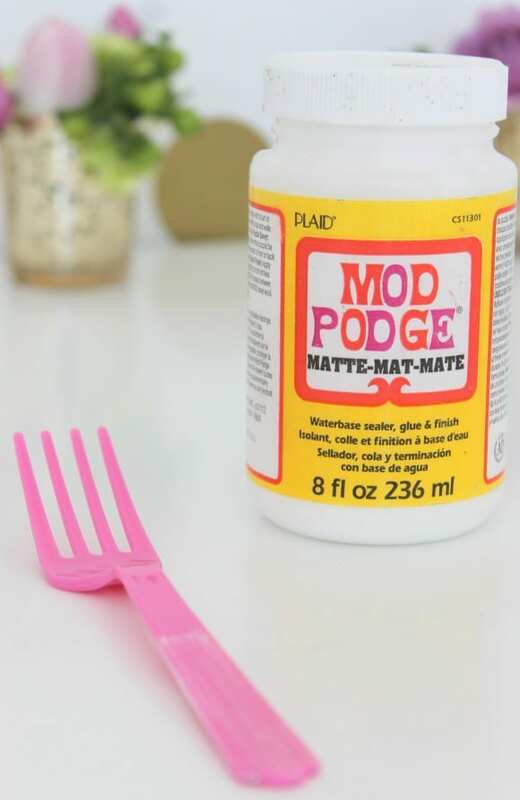 Begin by applying a thin layer of Mod Podge to the section of the plastic utensil you would like to have glittered. 2. 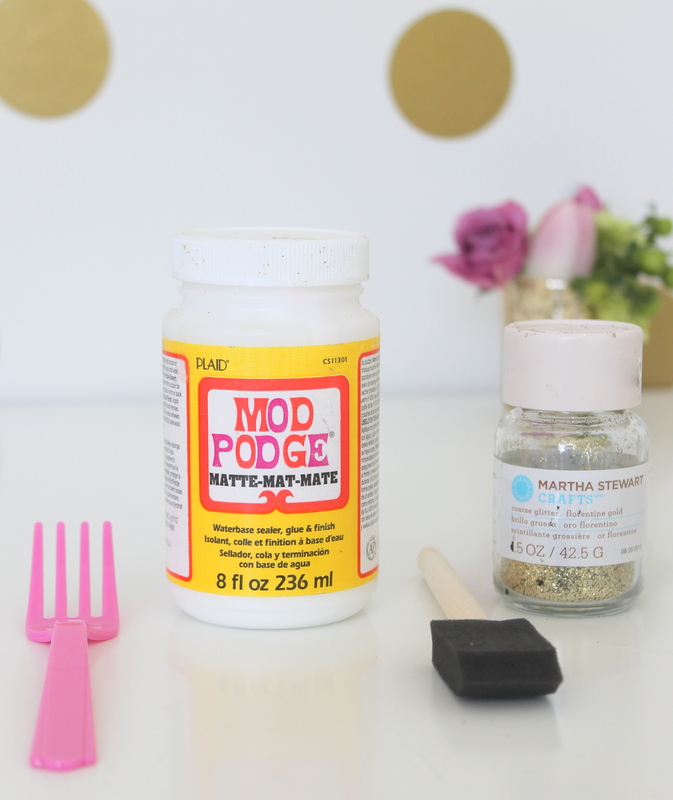 Next it's time to add your glitter! 3. 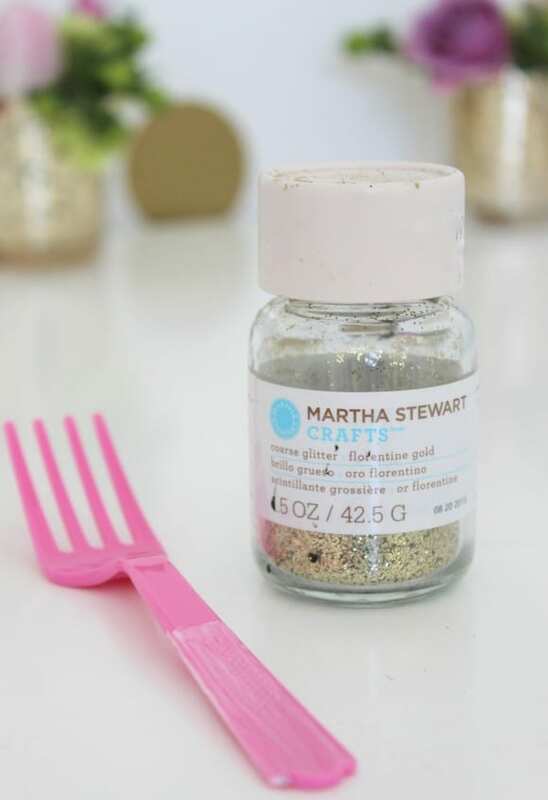 Gently sprinkle the glitter over the Mod Podged portion of your utensil and shake away any excess. 4. Repeat steps 1-3 for your remaining utensils. 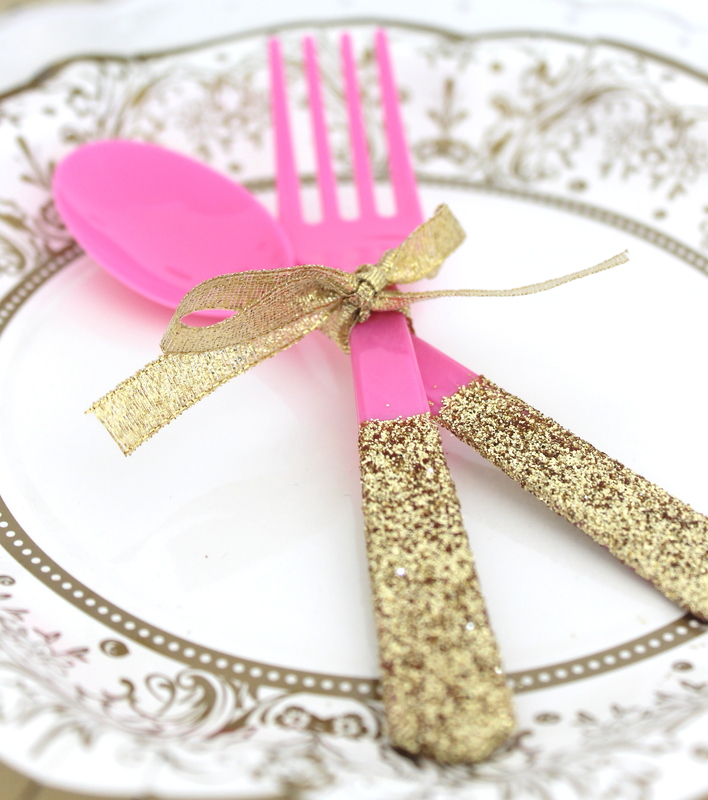 You now have a sparkling set of cutlery that adds just the perfect touch of glitz to your party place setting! We added a cute gold bow to ours. These would be the perfect accessory for your next fabulous princess birthday, 30th birthday, bridal shower, or baby shower, because who doesn't love a touch of glam and glitter?! 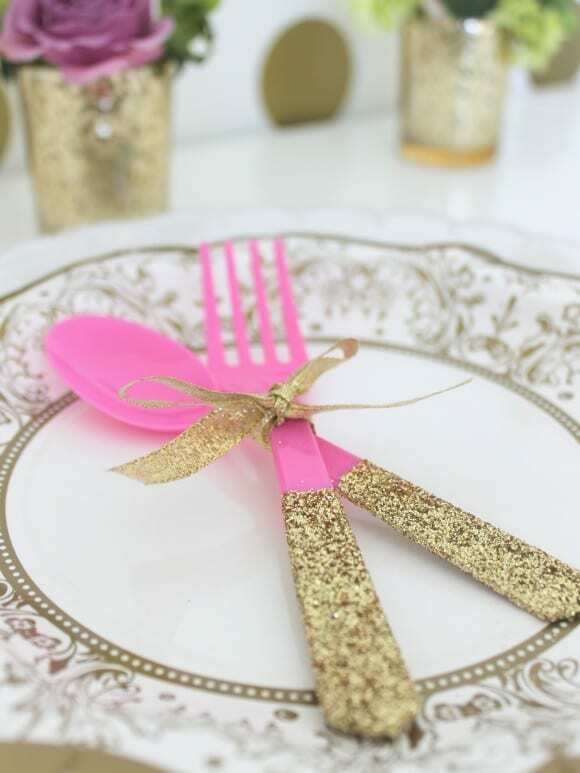 For more inspiration, check out all the fabulous gold and glitter parties on our site!